A bright and beautiful pull-out journey from tiny caterpillar to beautiful butterfly. A bright and beautiful fold-out pop-up that follows the Very Hungry Caterpillar's journey from tiny caterpillar to beautiful butterfly. Based on the classic picture book. This stylish concertina book is contained within a neat slipcase. 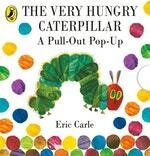 Follow the steps to make your own Very Hungry Caterpillar collage. 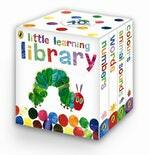 Love The Very Hungry Caterpillar? Subscribe to Read More to find out about similar books.